Kind people who worked with me to get the deal I needed for my family. Communicated effectively via email, text, and phone. Honest and fair in their deal making. 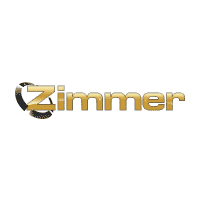 Zimmer Automotive was friendly, listened to our needs, and very helpful in finding the best deal for us. Bryan Marsh and every individual we dealt with in the process of buying our car were determined to make this a pleasurable experience. The facilities is clean and inviting. Mr. Zimmer is also a pleasure to work with when buying a car and I congratulate him and the rest of the team for building an excellent business in this community.